The decision of pursuing an MBA degree is a critical one, requiring a great deal of thinking and planning. An MBA can help boost your career, there’s no doubt about it. But, as a potential MBA candidate you must also evaluate the different MBA programmes, to see which one can provide you with the maximum benefits, in terms of the learning, exposure and opportunities. The job of a business professional involves interacting with a wide range of people, and building a rapport with clients and co-workers who may belong to other countries and cultures. 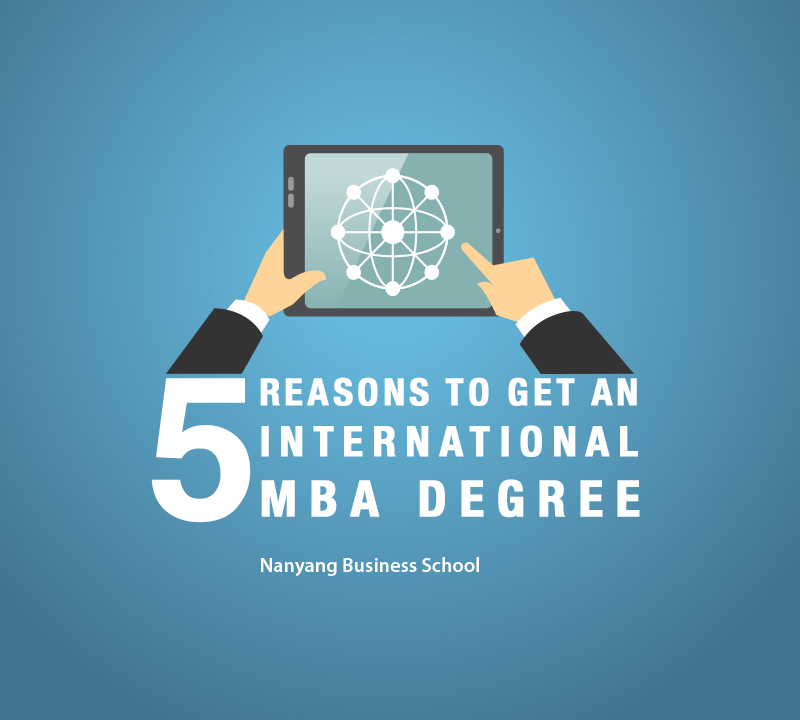 Doing your MBA overseas automatically trains you on this aspect of the job. By studying and collaborating with a culturally diverse mix of students, you acquire the essential social skills needed to survive and flourish in a global market. With companies going global and expanding their operations in non-English speaking countries, recruiters are often looking for candidates who are bilingual, and able to fluently communicate in languages other than English. Doing an MBA from business schools located in countries such as France, Germany and Singapore, provides you with an opportunity to be trained in a foreign language, thereby boosting your CV in a big way, and opening up newer job avenues for you in numerous global destinations. Doing an international MBA degree puts you in a high-pressure environment, where you would be competing with students from diverse nationalities, with a wide range of academic and professional experience. This prepares you well for challenging jobs, and gives you a competitive edge over other MBA grads, who have had a less intensive course at a local business school. More than the degree itself, the professional connections you make and the peers and mentors whose support you gain at the business school add more value to your professional career, taking you further ahead in your professional journey. An international MBA would provide you with a wider network, and open up myriad opportunities, that might not be accessible to someone who has done MBA in his/her own country. By studying overseas you are not just growing as a professional but also as an individual. Stepping out of your comfort zone, finding your way in a new country, interacting with people belonging to other cultures – these things equip you with the courage, flexibility and open mindedness needed to succeed in your professional and personal life. The Economist, in its list of the world’s top MBA programmes, ranks the Nanyang Business School in the 66th position and as one of the best business schools in Asia. The affordability of education in Singapore and its cultural diversity are some of the factors that attract students to NBS. For more information on Nanyang business degree, visit http://www.nanyangmba.ntu.edu.sg.